Editor’s Note: This article is part two of Thrillist Atlanta's year-end look at the best of our city’s local food and drink scene in 2016. In addition to our annual Best New Restaurants award, this year, we’re spotlighting the men and women behind the dishes we love to tell you to eat. Whether they bucked the national trends, revived classic local flavors, or otherwise drove the city's culinary scene, these are the chefs that stood out this year. Check out our picks for the rest of America’s 2016 Best Chefs, and then catch up on Best New Restaurants. 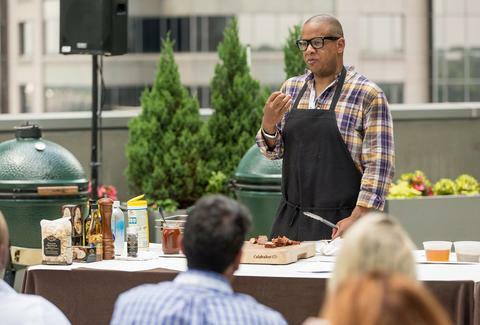 There are those kitchen masters who are consistently going to be vying for ATL’s best chef honors. We won’t name them all, because if they pop up on a list like this next year people might suggest that the esteemed food-eating judges are getting lazy. That said, in 2016 things heated up quickly as a few chefs -- who may not be new to Atlanta but made major culinary strides -- rose to the 12-month occasion. Here are Thrillist Atlanta's Best Chefs of 2016. Eat their stuff and thank us in the new year. You have to wonder how it’s even possible for a self-taught chef to do what Todd Richards has done for Atlanta’s dining scene. Here you have a guy who not only innately understands fine dining, which has been evident since his days running The Café at The Ritz-Carlton Buckhead, but is also keen on keeping things unflashy and honest -- which you know he does if you ever ate at former O4W barbecue staple Rolling Bones during his tenure there. Since those days he’s gained greater acclaim at The Shed at Glenwood (where he earned James Beard semi-finalist status in 2013), then The Pig & The Pearl before moving to White Oak. Not only has he been a singular force in upgrading Downtown’s restaurant scene, but his partnership with the White Oak folks (Alan and Cindy LeBlanc) has turned into his own Krog shop, where you can enjoy Nashville-style hot chicken from a welcoming bench setup with stools and all the table-settings you’d expect at a Sunday dinner. If that wasn’t enough, Richards also served as concept director for One Flew South, the greatest airport restaurant EVER, and was consulted for the menu for Ludacris’ new airport restaurant Chicken + Beer. He may be a back-of-house restaurant guy by nature, but damn it, this man deserves gratuity. What’s your favorite meal to make? Todd Richards: Without a doubt: soft scrambled eggs, creme fraiche, caviar. It's just a very simple yet luxurious dish. What got you into this career? Richards: Cooking delicious food has always been a part of my family life. It's how we gather and celebrate. I try to live that celebration in life and food everyday. What’s something you love about being a chef? Richards: I love people's stories and how they interpret their own stories through food. What’s your favorite dish to eat at the moment? Richards: That usually runs into new menu exploration. This winter exploring fermentation has my palette leaning more to Japan and Africa. What’s your opinion of the Atlanta restaurant scene right now? Richards: It's blossoming and developing its own personality, moving into the top tier of food cities. I expect us to be in the Michelin conversation in the near future. Public expectations weren’t sky-high when the Buckhead opening of SCK was announced. And that’s not suggesting folks had reasons to assume things would be lackluster; it’s just that you’re supposed to know exactly what you want and get it at the familiar ATL Southern comfort food institution. Starnes shattered that, and as a result you can have the Midtown and Vinings menu standards or something totally unique to the new location, which the former executive chef of The Sun Dial created just to make sure you knew what neighborhood you were dining in. If you’ve been sleeping on SCK because you just couldn’t imagine they’d done anything much different, realize that you’ve been seriously missing out and get over to the old Blue Cross building as soon as permissible. Jason Starnes: Anything braised, like short rib and lamb shoulder. I love the concept of having to foresee how a dish will turn out and how the flavors will develop over time. Starnes: It’s really two-fold; I’ve always loved hospitality and taking care of people as well as ingredient-driven food and menus. Starnes: Teaching. Being able to take someone that really enjoys food and cooking, and teaching them that passion to become a chef. Starnes: Anything seafood. I’m a big fan of the new seared corvina dish on our menu at South City Kitchen Buckhead. It’s served with sunchokes and mushroom-bean ragout with candied lemon persillade. Starnes: It’s really growing. We’re at such an amazing point where Atlanta is garnering significant national attention as a food-driven city and it’s so cool to see. Running a restaurant at the St. Regis and getting a Four Diamond rating from AAA is nothing to shrug at. 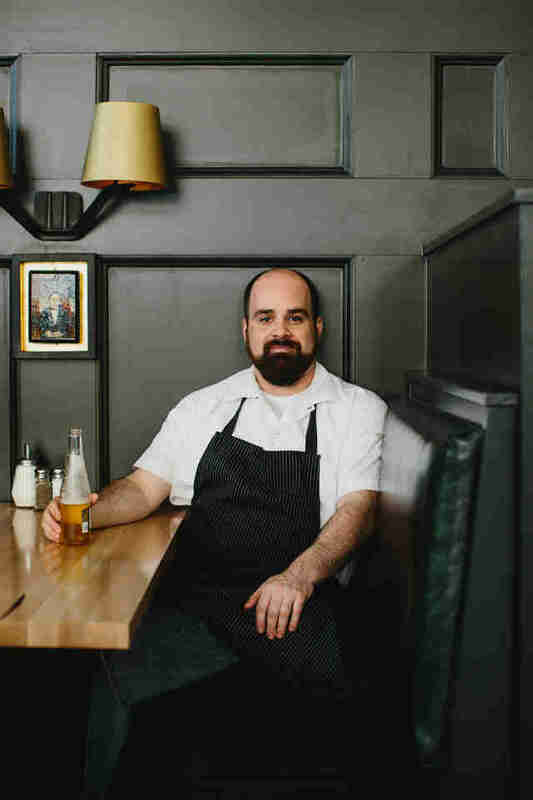 Chris Grossman deserves lots of credit for the accolades given to Atlas’ Euro-influenced American cuisine in 2016, especially because it’s been considered one of our best restaurants since opening just over a year ago. Looking at his track record, it’s safe to assume we can expect even greater things in the future, since he’d accomplished quite a bit on his own before Atlas opened up. Real talk: It’s impressive when you can say you’ve worked in Napa Valley at The French Laundry, which has literally been named the best restaurant in the world by people who have the qualifications to make such statements (aside from us, of course). But Grossman’s tutelage under Gerry Klaskala, who gave us Aria and Canoe, is part of the reason why you get a bit of the familiar with plenty of the extravagant, and none of the Gross, man. We’re here for dinner all night, folks. Christopher Grossman: Anything with pasta. I like the idea that something so seemingly simple can be so good and fulfilling. It’s all about technique. Grossman: I hurt my back. I was working in masonry construction, saving to go back to finish my degree in computer science, when I lifted a cement mixer the wrong way, which herniated a disc. I had always loved to cook for my friends, so when I healed enough to work I got a job in a kitchen and realized how much I loved to cook. Since then I’ve always looked at it -- from personality to skill set and interests -- like I was meant to be a chef. It just took a strange turn of events to realize. Grossman: It’s one of the few careers that I can think of where you’re physically active, constantly thinking, and problem-solving. At the same time you also have to use all five of your senses. Grossman: Whatever our team decides to make for staff meal. 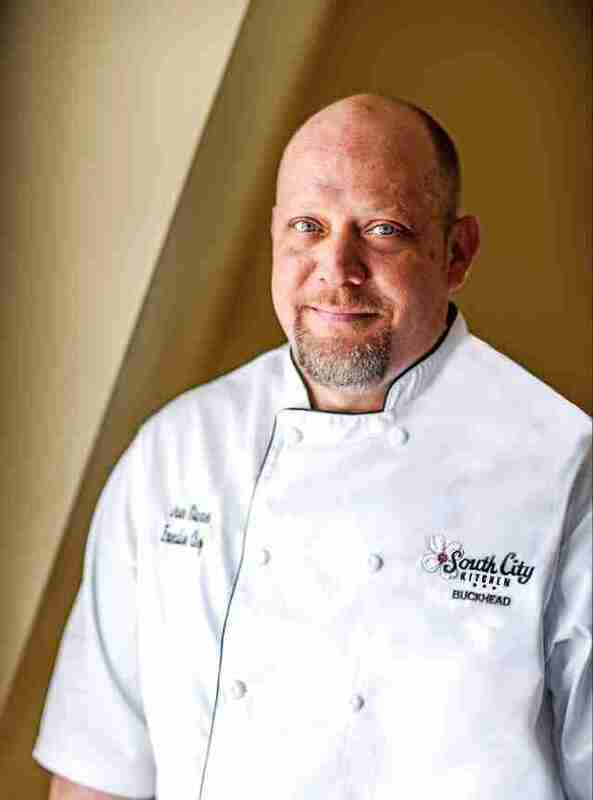 Grossman: It’s the perfect time to be a chef in Atlanta. Our restaurant diversity is off the charts, from BBQ to pho. We also have restaurants that defined and created the dining scene in Atlanta (Aria, Rathbun’s, Bacchanalia, Cakes & Ale), and I think now we are seeing the next generation of chefs emerge: Gunshow, BoccaLupo, and 8ARM/Octopus Bar, to name a few. If you -- like many others in Atlanta -- love Bocado, you have to show love to Todd Ginsberg. He’s the guy who got the kitchen started and put his guts -- not literally of course -- into its burger stack. You couldn’t have been surprised when he joined forces with the folks who opened The General Muir, because damn -- you’ve eaten there, right? Enough said. But just this January he opened up TGM Bread, a bakery where so much magic happens you almost wonder if you’re getting baked as you eat what comes from the ovens (burger buns, English muffins, fluffy pitas, pizza dough, you name it). By the way, you saw the Atlanta edition of Burger Quest, right? Fred’s Meat & Bread, where you can catch Todd hanging out pretty often, was our national burger critic’s favorite stack in the city. And if you’ve never had the falafel at Yalla!, his Middle Eastern setup next door, then you might be improperly fed. What can’t Todd Ginsberg do? Lose a burger war, or any competition that deals with cooking; that’s what. 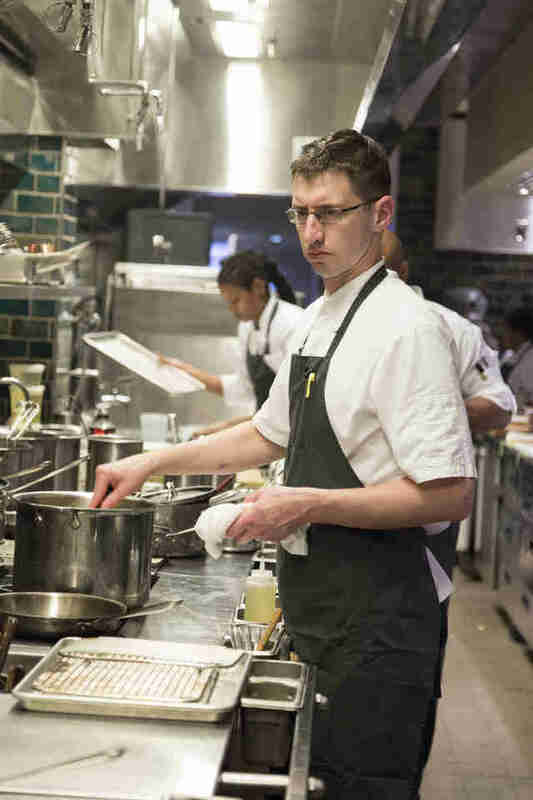 Todd Ginsberg: My favorite meal to cook isn't about the food I am cooking. When I cook for my son, that's what really makes me happy. Seeing him try new things, eating better things, or just finishing what I plate for him makes me so happy! Ginsberg: The restaurant business is a tough one to get out of, once you step into it. I was looking for a job when I graduated high school. I took a job as a busboy. The quick cash, short shifts, excitement, and the way time flew by, they were all reasons why I couldn't leave. Ginsberg: Being a chef has been a dream for me. I have made a living working with food, serving people food that I choose to cook for them, making people happy by feeding them. It's truly a wonderful job. I have never felt that I had to go to work -- just to go do something I love doing. Ginsberg: My breakfast of choice right now is a hot and crunchy banh mi from Lee's Bakery, with a pot of hot tea. Salty meat (and a little spicy) with some tea makes me happy. What’s your opinion of the Atlanta restaurant scene? Ginsberg: The scene is the best it’s been since I can remember. There is a bit of oversaturation, which as a restaurateur needs to be monitored pretty closely. It’s been more than two years since Foundation opened past the perimeter on 400N, but if you were there at the beginning you remembered your meal, and wondered why in the hell something so tasty was on the Norcross side of the highway instead of ITP -- or at least off Canton St in Roswell’s Downtown district. 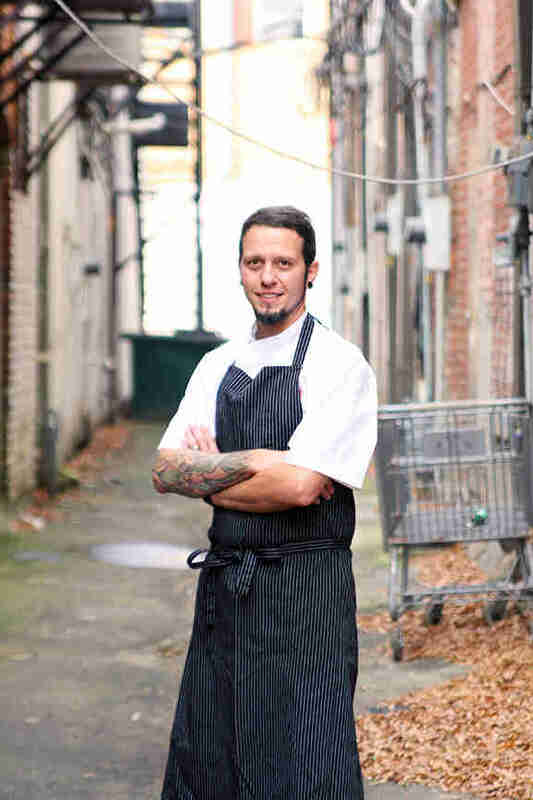 Well, that’s because Chef Mel’s tatted-up arms have whipped up excellence during stints at Bacchanalia, Woodstock gem Century House Tavern, and places outside the ATL area including stints at heralded NYC restaurant Daniel. Toledo is now an owner, and he uses Foundation to mix casual flair (don’t be surprised if music from Gorillaz plays while you bite into that crispy octopus appetizer) with high-quality food packing immense flavor. 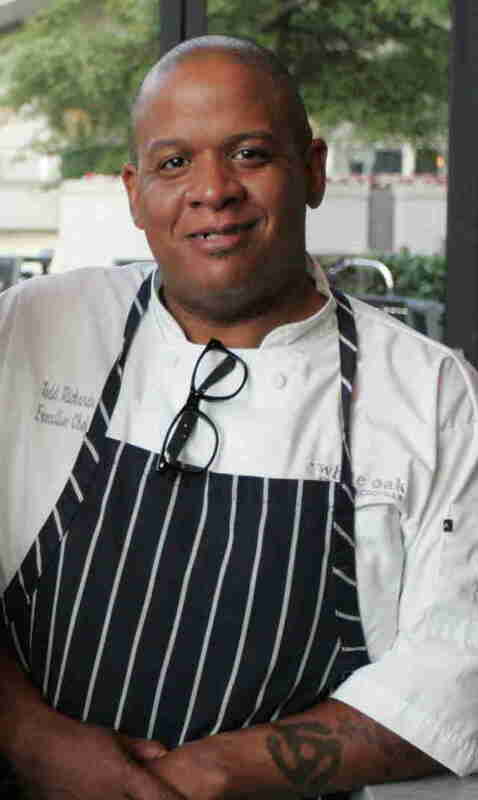 The fact that he can push such consistent delicious meals from his open kitchen while the management and staff of Foundation offer reliably solid service to customers means Roswell residents better cherish this guy. Mel Toledo: Slow-cooked braises -- I love the method of slowly building flavors and at the end having a hearty, warm dish that soothes the soul. Toledo: I’ve always been in the business, but I really fell in love with food and decided to be a chef when I traveled to Europe. Toledo: The connection with guests. I have a fixation with remembering things about my recurring guests -- their likes, dislikes, and more. It all goes into making each of their experiences at Foundation Social Eatery tailored and memorable. Toledo: Uni. My favorite sushi restaurants currently are MF Sushi and Circle Sushi. Toledo: It’s great to see it growing so fast, and I love that there’s an increasing appreciation for good food among Atlantans. It’s an exciting time to be a part of the Atlanta dining scene! Mike Jordan eats food. He also talks to chefs and appreciates everything they do, even if they aren’t featured in this story. Hit him up on Twitter at @michaelbjordan and follow him on Instagram at @mikejordanatl.